Jawbone, the business that made Bluetooth speakers and fitness trackers is shutting down and liquidating its assets said one source familiar with the company’s plans, marking just the latest casualty in the wearable device market that at one time had been very promising. CEO and founder of Jawbone Hosain Rahman started another company recently known as Jawbone Health Hub, which is working on medical hardware and software. The company raised money for this new venture, but it is not clear the amount or source. 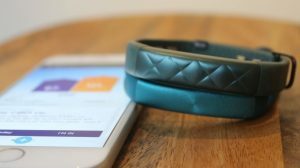 Despite closing the business, the company believes it is worth a substantial figure of money because there is pending litigation with Fitbit its rival, said the same source. When requested to leave a comment about the liquidation of Jawbone, a spokesperson for Jawbone declined. Jawbone has not produced fitness trackers since last year. It stopped selling them in September of 2016 and liquidated its remaining inventory to third-party resellers at discounted prices to generate revenue that was much-needed, said sources. Sources added that the company ran into problems paying some of its vendors for services and had to cut ties with its external customer service agency. Jawbone had been in the process of shifting its products to clinical grade wearables that would be able to measure vitals such as blood pressure, but Jawbone had trouble with the operation of the device, said sources. It is not clear if the new company Jawbone Health Hub is going to continue working on the device. The new company will help service current owners of fitness trackers made by the company. In January of 2017, Jawbone was given a value of $1.5 billion after it was able to raised $165 million during January of 2016. The previous valuation was close to $3 billion and it has raised capital of over more than $1 billion the past couple of years.